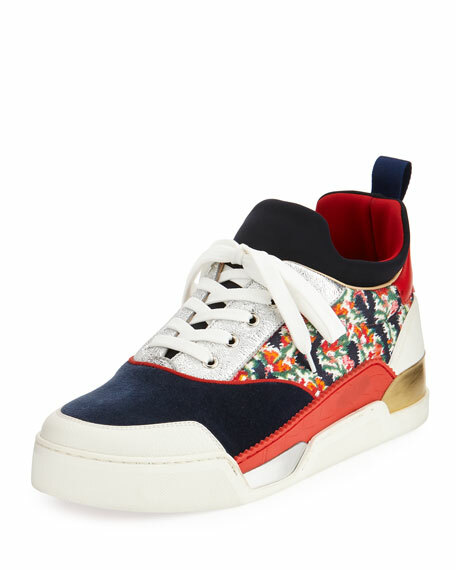 Christian Louboutin "Aurelien" mixed-media leather and twill sneaker. For in-store inquiries, use sku #2367070. 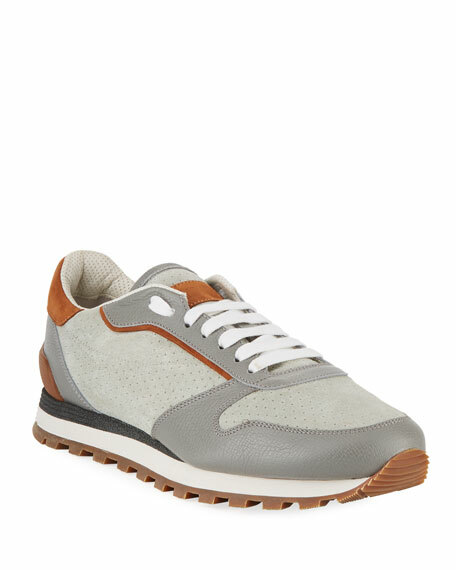 Brunello Cucinelli trainer with suede trim. Flat heel with platform. Reinforced round toe. Lace-up vamp. Logo at tongue. Padded footbed. Rubber outsole. Smooth leather. 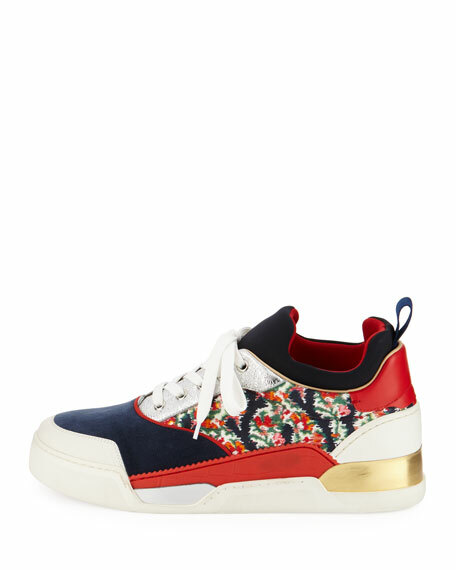 Christian Louboutin mixed-media sneakers with metallic leather trim. Flat heel with platform. Round toe with silvertone spikes. Perforated trim heel. Lace-up vamp. Logo at tongue. Padded footbed. Contrast rubber outsole. Made in Italy. 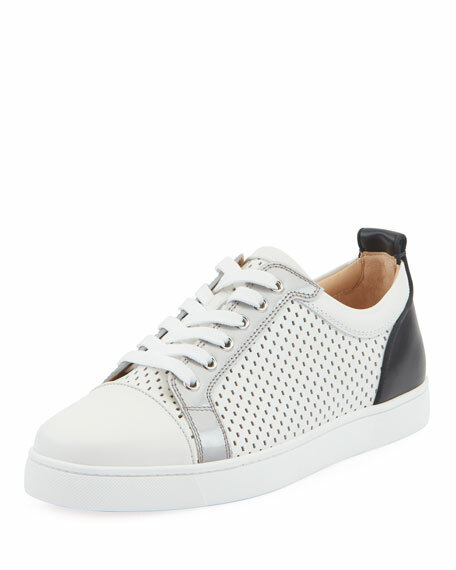 Christian Louboutin sneaker in perforated leather. Flat heel with platform. 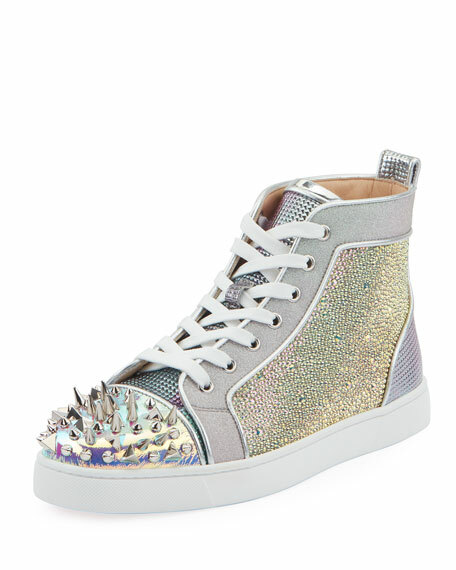 Round toe with tonal spikes. 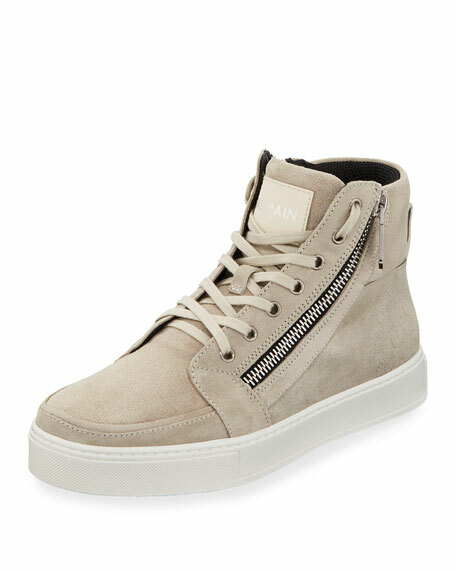 Lace-up vamp. Logo at tongue. Contrast heel counter. Padded footbed. Rubber outsole. 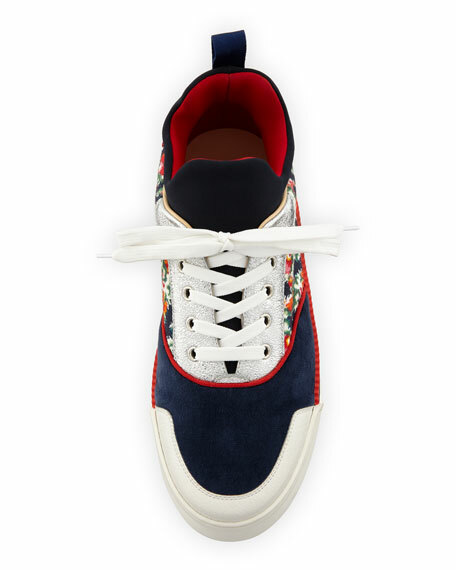 Calf leather trim. Made in Italy.